Your prayers are desperately needed for the health of the at-risk children Another Child Foundation serves at the Point of Hope Center in Romania this Winter. The weather the last couple of weeks here in the Midwest has been nothing short of terrible. We’ve been plagued with what seems like never ending snow, record breaking windchills, and day after day of below freezing temperatures. We have been hiding away as much as possible in our warm, cozy houses to avoid the cold and treacherous conditions. Romanian Winters are very similar to Midwest Winters. Many of the children we serve, with the help of our generous supporters, live in one room apartments or houses without a heater. 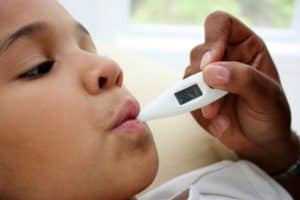 “Respiratory disorders can be worsened by prolonged exposure to low indoor temperatures, and people living in cold homes have an increased tendency to suffer colds, flu, bronchitis and pneumonia”, according to research done by Energy Action Scotland. Imagine going through a Winter this extreme without a heater in your house. Can you fathom raising your small children in a house without a heater? Imagine not owning a car to drive and consequently having to wait outside in the bitter cold for the city bus to take you on your daily errands or to work, if you’re even fortunate enough to be one of the few in your neighborhood to have a job. These conditions would be inconceivable for most of us blessed Americans. Along with Christian based education from loving teachers, our Romanian children are blessed to be able to come to the warm Point of Hope and receive regular meals, hot showers, and free medical treatment during the school week. Please pray for God to grant our children and the staff that is blessed to serve them good health and safety during this unpredictable Winter season and all year long! Thank you in advance for your prayers. May our gracious God bless and protect you and your family as well!